Moatt Sails- yacht racing sails. Get to meet the Mayor! 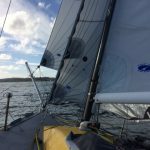 When it comes to yacht racing sails we at Moatt Sails understand there is a plethora of factors that go into the decision process of which sail to go for. 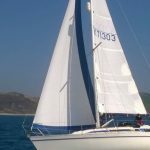 Performance, Longevity, ease of use, price all play there part and to help to match your performance aspirations to your budget we offer a range of sail specifications. These sails are designed to help you meet the Mayor (or other local dignitary) come the close of the regatta. Getting on the podium requires a little more engineering in the construction. Selecting from high spec Dacron or Polyester laminates we make these sails to perform. At this point we are looking at stronger, lighter aramid and carbon laminate or harder wearing Dyneema sailcloths. Let’s be honest, these sails need to be treated with respect an that is why we engineer them with radial panels and load spreading radial patches throughout. Extra reinforcement and attention to corner detailing as required . 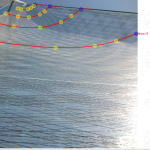 You might be interested in this article Membrane sails – The future of sailmaking?….well you might! 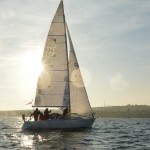 What ever your racing aspirations we would be delighted to talk to you and advise on which sail will best meet your need. All enquiries are warmly welcomed so please call on 01305 824254 if you need a quote or advice.